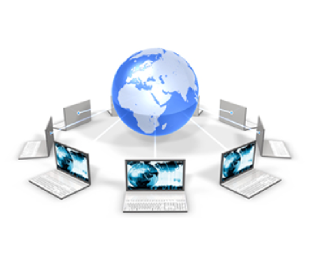 COHORTE is a platform for developing and rolling out robust and reliable software. Software produced with COHORTE has a high level of robustness and reliability since its is made up of a range of components and services protected from one another by isolation containers. This modular architecture guarantees that software cannot be paralyzed in the event of failure of one of its components and that, for example, 100% of the data communicated is processed. This modular architecture ensures automatic service recovery after errors and to supply degraded responses in the event of unavailability of a component. The platform incorporates a range of tried and tested basic components dramatically reducing specific developments, thereby reducing the cost of projects using them. The level of reliability of software produced with COHORTE SDK also reduces operating and maintenance costs for the companies software packages. 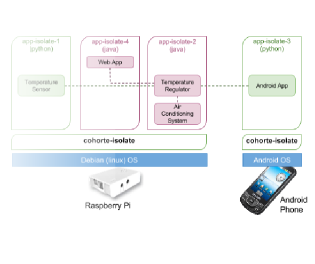 COHORTE provides a framework to construct modularised applications consisting of software components that uses software services provided by other components. 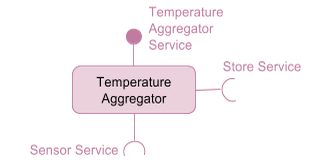 This approach allows to construct IT applications as mean of a set of components providing and requiring services. COHORET is compliant to OSGi specification. COHORTE developers provide only implementations for the different components providing or requiring services. At runtime, the concrete placement of components in execution nodes is managed by the COHORTE runtime. Two components can work together transparantly even they are located on two seperate machines. 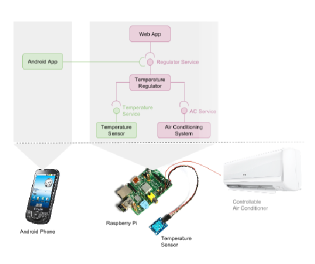 COHORTE components can be executed on different kind of devices, from small devices like Raspberry-Pi to big servers whereas having windows, linux, or Mac OS operating systems. COHORTE automatically prevents and corrects component failures by isolating them and restarting them seperatly from others. Users can also define static isolates in which they put components that are guaranteed to be safe. Project is an open source framework hosted on GitHub and sponsored by isandlaTech . To help you developping your business applications using COHORTE, feel free to contact isandlaTech’s support team at contact@isandlatech.com . 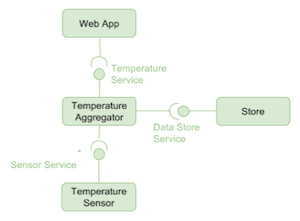 A COHORTE system is a set of (distributed) Software Components connected together using services to ensure some functionality. In the following sub-section, we detail the main concepts behind COHORET system. COHORTE Components represents a software component providing a service and eventually requiring other services to do ensure some tasks. Components can be implemented using Python or Java programming languages. We support and provide component-based framework for each language. Cohorte components implements only business logic, all the distribution and dependencies with other components are managed by COHORTE. 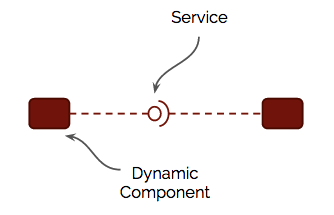 Components can be deployed and removed dynamically without stopping the system. Java components are implemented using Apache Felix iPOJO component-based model. Whereas Python components are implemented using isandlaTech iPOPO component-based model. This two component-based service-oriented models uses OSGi container as runtime support. C#, C and other programming languages components could be wrapper in either Java or Python supported dynamic components. In COHORTE, OSGI containers could be created dynamically to host some set of related components. To communicate two remote components, COHORTE provides an implementation of Remote Services specification (part of OSGi specification) for Java and Python components. There is no need to provide specific configurations / proxies to get the Remote Services work, COHORTE provides zero-config approach for connecting remote services (Discovery and Transportation are automatic). COHORTE provides a mechanism to isolate faulty components in a seperate OSGi containers. This is way we refer and call OSGi containers Isolates . COHORTE Isolates are located and managed on COHORTE Nodes . Nodes can be created by users using a provided scripts. Each Node can manage (create / monitor / delete) several isolates. 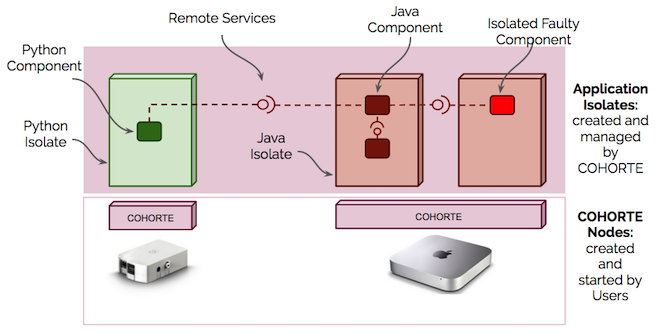 COHORTE internal components responsible for managing local isolates and their relation with other remote isolates are located on special purpose Isolate (created at Node’s startup and can not host applicative components). Top Composer : It loads the composition declarative description and computes the sets of components according to the node they must be instantiated on. Node Composer : It calculates the different isolates that must be exist for the local set of components. Isolate Composer : It uses framework-specific agents to request the instantiation of the components assigned to its isolate, and looks after their evolution. There are several ways of installing COHORTE on your system. In the following, we detail the manual installation (as the installers are not yet available). Depending on your operating system, we give some insights about how install COHORTE distribution using specific platform instructions. Donwload the COHORTE distribution adequate to your operating system from the downloads page . E.g., for Linux OS you download cohorte-1.0.0-linux-distribution.tar.gz . Extract the distribution archive, i.e. 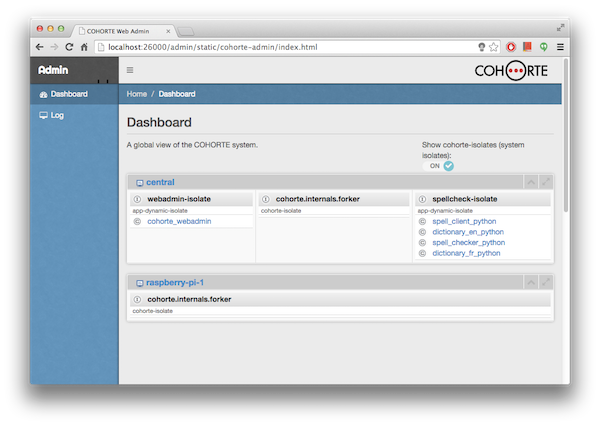 cohorte-1.0.0-linux-distribution.tar.gz to the directory you wish to install COHORTE. These instructions assume you chose /opt/isandlatech/cohorte . The subdirectory cohorte-1.0.0 will be created from the archive. Go to the cohorte-1.0.0 directory and launch setup.sh command. This will export COHORTE_HOME environment variable (and add it to your home directory’s .bashrc file). Ensure to have the access rights to $COHORTE_HOME directory (e.g., `sudo chgrp -R your_login cohorte-1.0.0; chown -R your_login cohorte-1.0.0). Prior to install Cohorte, you should have Python 3.4 installed on your machine. You have also to install Pywin32 adequat to your operating system. Set PYTHON_HOME environment variable to target your installed Python distribution. Set PYTHON_INTERPRETER=%PYTHON_HOME%\python.exe environment variable to target your python interpreter executable. 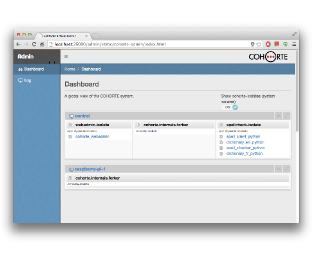 Unzip the distribution archive to the directory you wish to install COHORTE. These instructions assume you chose C:\Program Files\Cohorte . The subdirectory cohorte-1.0.0 will be created from the archive. Add the COHORTE_HOME environment variable by opening up the system properties (WinKey + Pause), selecting the “Advanced” tab, and the “Environment Variables” button, then adding the COHORTE_HOME variable in the user variables with the value C:\Program Files\Cohorte\cohorte-1.0.0\home . Be sure to omit any quotation marks around the path even if it contains spaces. Add %COHORTE_HOME%\bin to the system’s PATH environment variable. If you are already familiar with one of the two frameworks, all whats you have to do in order to get your components managed by COHORTE is to not instantiate them (using @Instantiate annotation or its XML equivalent). COHORTE will instantiate them automatically. To have benefits of Remote Services feature, your services should use primitive types instead of complex user-specific types. Next, you need to write a small description of your application components using the format explained hereafter. In this section, we will provide a brief introduction to the supported Service Oriented Components Models in COHORTE. 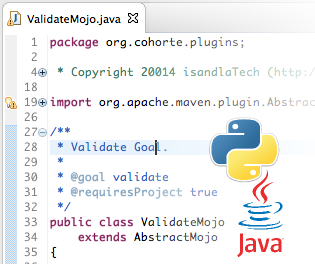 Interoperability between Java and Python implementation? We should add java:/ prefix to required services in Python. This specification is used to describe the composition of the final application in term of component that should be instantiated in which isolate of which node. // this composite hasn't sub-composites. COHORTE system is composed of several Nodes. Only one node is specified to be Top Composer. It manages the components distribution among the available participating nodes. In this chapter, we will detail how to create and start COHORTE nodes using simple command lines. To create COHORTE node, you have to use the provided cohorte-create-node command. Ensure to have installed COHORTE on your system and that the COHORTE_HOME environment variable is set to the installation path of COHORTE (see setup guide ). node_name correspond to the provided name by the user using the --name option. repo is a directory where user provided bundles should be placed. conf is a directory containing configuration files. Only one configuration file is created initially (composition.js), other files are generated by run script in this location. Here is the content of the generated conf/composition.js file. You should add component descriptions on the indicated zone (see Composition Specification ). Only the node started as Top Composer (see next section) should have this configuration file completed. Other nodes started as simple nodes will ignore this file. composition.js template is generated only when the --app-name option is set. To start a COHORTE node, you have to use the generated run command (this command calls cohorte-start-node internal command). There are different kind of options depending on the use of the actual node. All the nodes participating for a given application should have the same APPLICATION_ID . --use-config CONFIG_FILE  Configuration file to use for starting cohorte node. We can write the startup configurations in a separate JSON file (see How to use startup configuration files section). This options will simplify the command options list and allows sharing the same startup configurations between several nodes. We can provide a different node name than the already provided when the node is created (by using –node option). One important option of cohorte nodes is the --top-composer . If set, the node will be considered as a Top Composer (manages all the distribution of components among the available nodes). Users can also provide customised informations such as the http port to use for the web-admin component (see monitoring chapter ), or the port to use for the remote shell admin component. The --transport option allow the use to choose which transport protocol to use between the actual node and the other nodes participating in the same application. You can provide a common seperated list of the supported protocols ( http and xmpp for the moment). Each protocol need additional configuration options that should be provided seperataly using dedicated options (–xmpp-server for instance to mention the XMPP server to use). To avoid re-typing the same options each time a node is started, or to share the same configuration between several nodes, you can provide a startup configuration file which contains such startup configurations. The content of such file is described hereafter. This will update all the provided options within the startup configuration file (run.js). The discovery is done using TCP multi-caste feature. This limits the scope of the discovered COHORET nodes to only available at a local network area LAN. To deploy you COHORTE nodes at the Internet level, you should use XMPP mode. The XMPP server should accept anonymous connections and `multi-user chat . You can use the two transport protocols in the same time. At runtime, only one is used, if it does not work COHORTE choose the other one. Herald, the framework used as discovery and transport layer in COHORTE, has a generic architecture allowing it to add more discovery and transport protocols. Other connection modes are under development and will be released in future version of COHORTE. COHORTE has an integrated shell to allow users manipulate and monitor the system. Here the list of the provided shell commands and their explanation. These commands are categorized by namespace.
? [<command>] Prints the available methods and their documentation, or the documentation of the given command. bl [<name>] Lists the bundles in the framework and their state. Possibility to filter on the bundle name. help [<command>] Prints the available methods and their documentation, or the documentation of the given command. property <name> Prints the value of the given property, looking into framework properties then environment variables. sl [<specification>] Lists the services in the framework. Possibility to filter on an exact specification. fire <target> <subject> ... Fires a message to the given peer. fire_group <group> <subject> ... Fires a message to the given group of peers. post <target> <subject> ... Post a message to the given peer. send <target> <subject> ... Sends a message to the given peer(s). Prints responses in the shell. In this document, we detail the ADMIN RESTful API v1 of COHORTE platform as well as the web admin interface built on the top of this API. "description": "All nodes successfully destroyed"